HOUSTON, TX -- (Marketwired) -- 06/30/17 -- QS Energy, Inc. (OTCQB: QSEP), a technology solutions provider for the energy industry, today announced it has named Mr. Shannon Rasmussen as its new Vice President of Engineering, adding a key industry veteran who, along with new CEO Jason Lane, will help lead commercialization efforts for QS Energy's Applied Oil Technology (AOT) -- an integrated system that improves critical operational efficiencies for pipeline operators worldwide. Newly appointed Vice President of Engineering Shannon Rasmussen with AOT installation on a high volume, high API gravity crude oil pipeline. As co-founder and senior principal of Colorado-based energy consulting firm Citrine Energy, Mr. Rasmussen comes to QS Energy with nearly two decades of experience in the power and oil and gas sectors, with deep expertise in engineering design, project and program management, construction, compliance, and quality. Mr. Rasmussen comes into this new role at QS Energy with critical knowledge of AOT and its demonstrated ability to reduce the viscosity of crude oil -- helping operators increase flow volume, reduce reliance on diluents, relax viscosity requirements, and meet carbon emission reduction goals while decreasing operating costs and improving pipeline efficiency. As a consulting engineer for a major North American midstream pipeline company in 2014, Mr. Rasmussen experienced AOT operations first hand; in a similar role for QS Energy over the past two years, he helped spearhead critical design and fabrication improvements that have resulted in significant gains in AOT operating efficiencies, while achieving stable operations on a high-volume high API crude oil pipeline. "I have seen first-hand what AOT can do for pipeline operators, and why it's critical to their long-term success," says Mr. Rasmussen. "I am thrilled to have the opportunity to expand on our initial success with AOT, help continue to improve and streamline it, and work with pipeline operators to bring this technology to wide adoption across the industry." Adds CEO Jason Lane: "Shannon's on-site experience with AOT, along with his deep industry expertise and contacts, makes him an ideal partner to help QS Energy bring these critical advances to an industry that needs them." In addition to his recent on-site consulting with QS Energy, Mr. Rasmussen has served as a project - program manager and consultant for a major North American midstream pipeline company across a range of compliance-related projects. Mr. Rasmussen holds a B.S. in Mechanical Engineering from the Colorado School of Mines, is a registered Professional Engineer (PE), and a certified Project Management Professional (PMP). Mr. Rasmussen, along with his wife and three children, are looking forward to relocating to the Houston area. Developed in partnership with scientists at Temple University in Philadelphia, Applied Oil Technology (AOT) is the energy industry's first pipeline flow improvement solution for crude oil, using an electrical charge to coalesce microscopic particles native to unrefined oil, thereby reducing viscosity. Over the past four years AOT has been rigorously prepared for commercial use with the collaboration of engineering teams at numerous independent oil production and transportation entities interested in harnessing its demonstrated efficacy to increase pipeline performance and flow, drive up committed and uncommitted toll rates for pipeline operators, and reduce pipeline operating costs. Although AOT originally attracted the attention of pipeline operators motivated to improving their takeaway capacity during an historic surge in upstream output resulting from enhanced oil recovery techniques, the technology now represents what we believe to be the premiere solution for improving the profit margins of producers and transporters during today's economically challenging period of low spot prices and supply surplus. 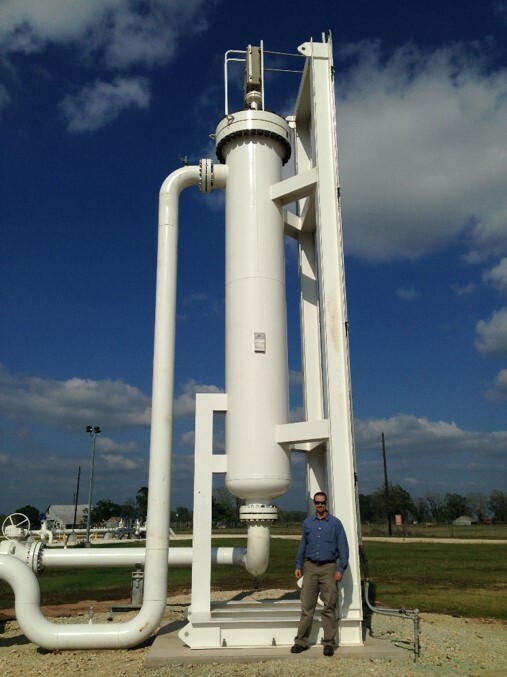 QS Energy, Inc. (OTCQB: QSEP), provides the global energy industry with patent-protected industrial equipment designed to deliver measurable performance improvements to crude oil pipelines. Developed in partnership with leading university and crude oil production and transportation entities, QS Energy's high-value solutions address the enormous capacity inadequacies of domestic and overseas pipeline infrastructures that were designed and constructed prior to the current worldwide surge in oil production. In support of our clients' commitment to the responsible sourcing of energy and environmental stewardship, QS Energy combines scientific research with inventive problem solving to provide energy efficiency 'clean tech' solutions to bring new efficiencies and lower operational costs to the upstream, midstream and gathering sectors.